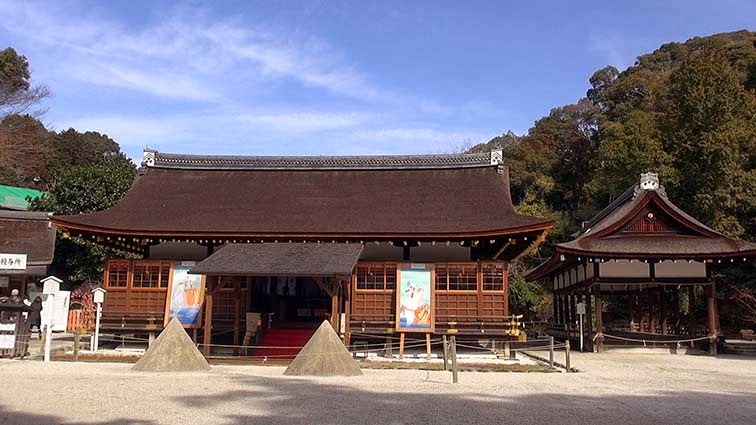 I will go also to Kamigamo-jinja located near it. 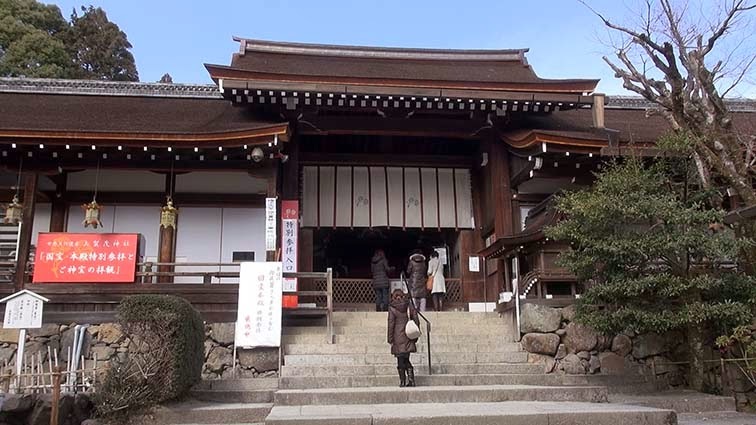 I went to Kamigamo-jinja through Kurama-kaido. The route which goes along the Kamo river is intelligible. 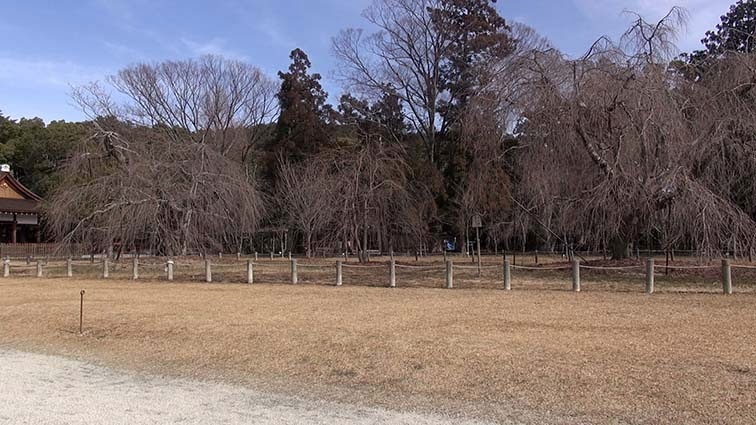 A big parking lot is in front of the gate of Kamigamo-jinja. 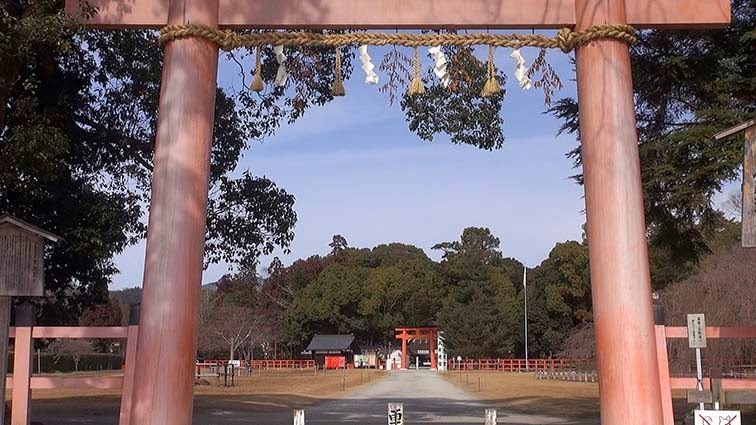 "Kamigamo shrine" is a popular name. 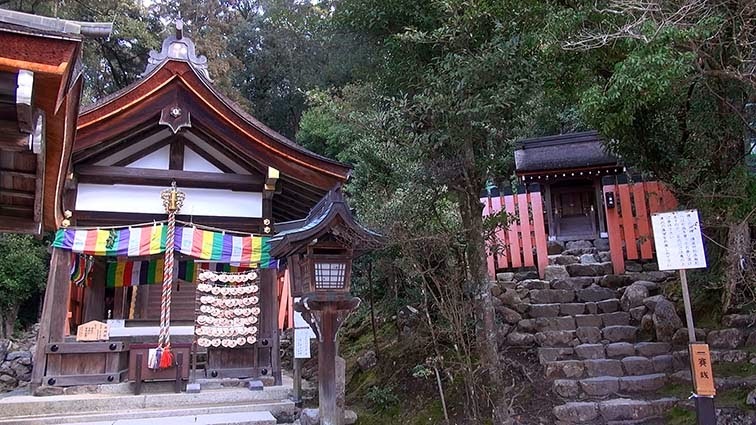 The correct name is "Kamowake Ikaduchi shrines"
These are Ichinomiya of the country in Yamashiro. 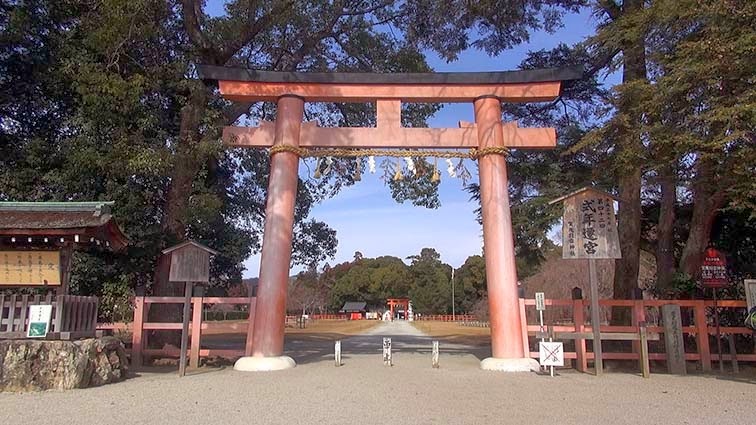 I went into the interior from the torii of one. I walk the approach of lawn. Shimogamo was the approach of the grove. There is a feeling of opening here. There is a cherry tree. But flowers are not in bloom because it is winter. Many flowers will bloom in spring. There is a main hall on the inside of the tower gate. The inside of the tower gate is not wide. 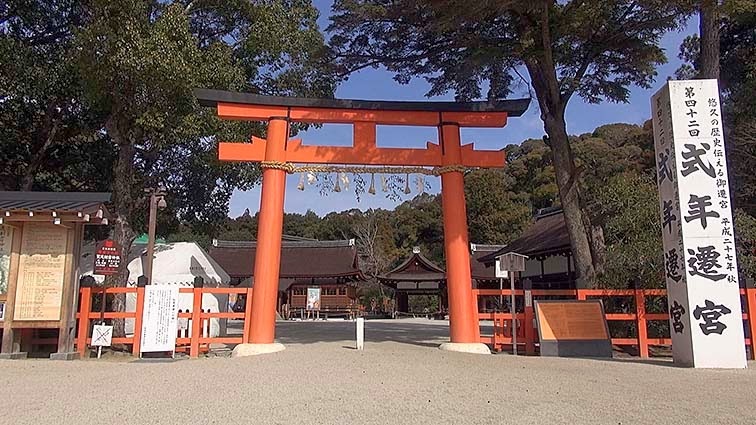 A main shrine is immediately near the gate. 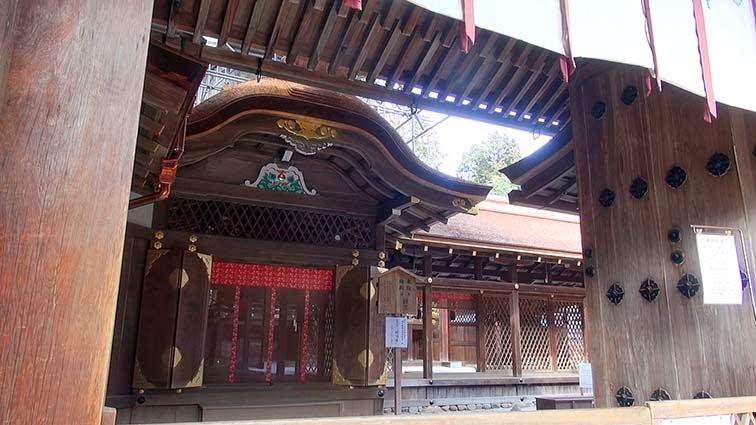 An enshrined deity is "Kamowake ikaduti no ookami"
There is some "Tatesuna" in the precincts of a temple. 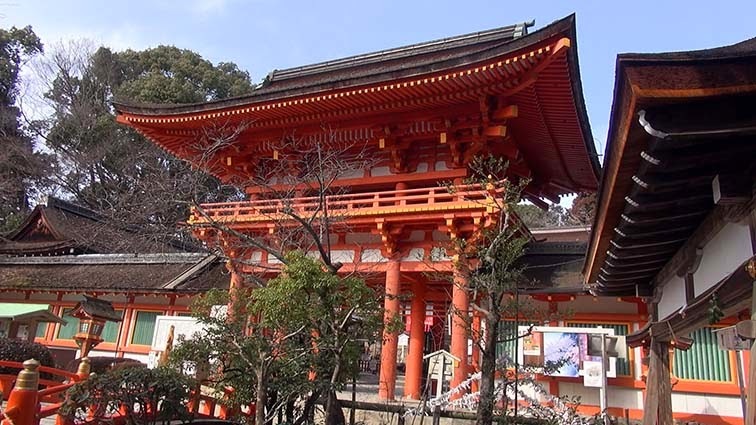 There is Takakura hall on the inside of the tower gate. 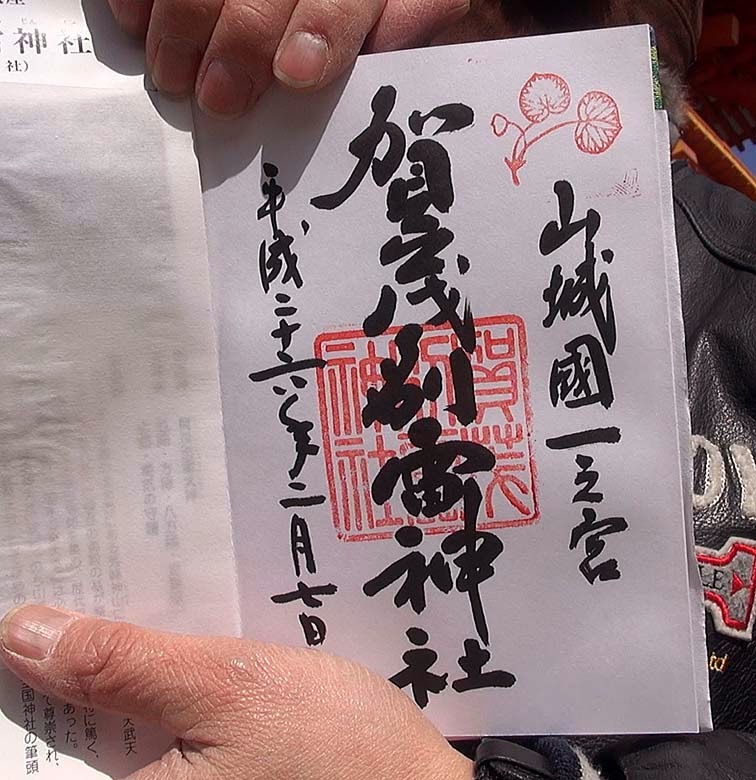 A red seal can be obtained here.